With affordable cruises to Greece, Turkey and Cyprus, you can experience the real charm of these beautiful historic destinations. Celestyal Cruise Lines is recognised for its short and budget based cruises offered onboard its three ships. Excursions onboard Celestyal cruises tend to focus on a variety of destinations including the Dalmatian coast, the Mediterranean, the Greek Isles and Cyprus. They endeavour to bring you to as many ports as possible during your designated cruise duration. Although this focus on visiting maximum destinations may leave little time for onboard activities, the cruising experience you get is traditional. In the time that you have onboard, opportunities arise to explore the pool decks, casinos, sundry items and the many other services found on each of the decks. Its aim is to evoke a divine Greek experience and as a result many of the restaurants, bars and theaters onboard have names inspired by Greek mythology. 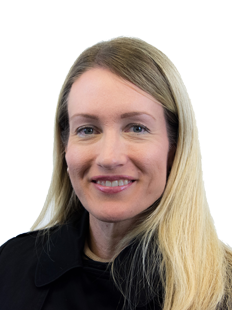 The cruises do not attract a specific type of passenger, but instead appeal to a wide, multilingual spectrum of guests that vary in age and interests ranging from educational groups to a much younger crowd, depending on the chosen destination. Passengers are advised to take advantage of their cruising experience by getting out and absorbing the distinctive cultural atmosphere. This is made easy by Celestyal, as their ships always dock in the oldest, most impressive parts of the cities. Celestyal Crystal is perfect for passengers of all ages. Enjoy this three night itinerary with destinations floating between Greece and Turkey. Enjoy the small Grecian islands dotting the Aegean Sea! Take a journey to the past and explore the ruins of ancient Greece in Athens. 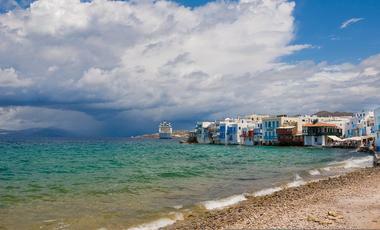 Nothing is better than traversing the Aegean Sea, visiting islands like Milos and Heraklion along the way. 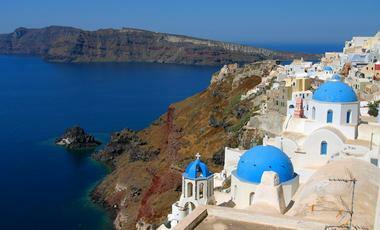 Book this one-week cruise for stunning Grecian views and gorgeous destinations! Two overnight stays on board the Celestyal Crystal will give you plenty of time to explore Mykonos and Santorini. This four-night itinerary is filled to the brim with picture-perfect destinations! You will be visiting a new island almost every day. Sail across the Aegean Sea from Greece to Turkey and back. Enjoy the white sand beaches of the Greek island of Crete. Climb aboard the Celestyal Olympia for a voyage of discovery. Indulge in the Greek culture on board experiencing exquisite food, numerous entertaining activities and electric atmosphere. 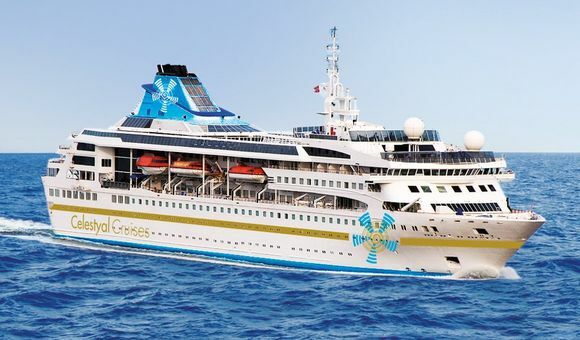 Celestyal Cruises is based in Cyprus and has the three ships Celestyal Olympia, Celestyal Crystal and Majesty. Celestyal stands for classic cruises with lots of tradition. The comfortable ships make every cruise a memorable experience and leave the holidaymakers in a relaxed holiday atmosphere. Recreation is very important on board the ships. The service is accordingly very attentive and is always onhand. They will do everything they can to meet your request. The holidaymaker can choose from an extensive wellness program on board the ocean giant and experience this in the form of massages and wellness visits. The cruise ships of Celestyal stand for class and comfort, making the trip a unique experience. Guests can relax with a spa, a massage, exercise in the fitness center or relax in the sauna. Various restaurants enchant the holidaymakers with Mediterranean and international delicacies and provide a great ambience for eating. Of course on board can also be extensively pursued the shopping. After the meal, you can have a delicious cocktail at one of the many bars before continuing with fun and entertainment. In the theater or at spectacular shows in the Metropolitan Show-Lounge, lasting impressions are guaranteed. In the disco the evening will be a successful conclusion, with the music you can dance and enjoy the evening extensively. Gamblers can try their luck at roulette at the casino. The routes of the Celestyal Cruises cruises lead from Athens through the Aegean Sea. The enchanting nature and the hospitable nature of the locals make this route a very popular tourist route. Here you can escape the everyday life and enjoy the dreamlike landscape both on board and on the land. 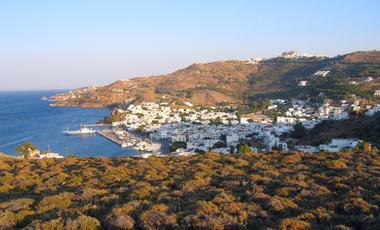 Destinations during the cruise include the Greek islands of Mykonos, Crete and Rhodes. For those of the Aegean Islands with the various stopovers you decide, leave your own preferences. No matter what ship you choose, a cruise with Celestyal Cruises will be a memorable experience for a long time to come. Celestyal Cruises guests are promised a once in a life time experience and are guaranteed to leave their cruise feeling relaxed and rejuvenated. Included in the cruise is 24/7 service from the Celestyal crew, top-of-the-range dining, port charges and much more! Celestyal Cruises’ model is simple; great hospitality, breathtaking destinations, and interesting excursions.